If you ask any experienced skydiver who goes skydiving in Las Vegas where they jump, they will probably say," Skydive Mesquite!". We are the largest full service drop zone in Nevada and we can (and like to) take any level skydiver. So if this is your first jump or your 10,000th, we want you here. If this will be your first jump, don't you want to skydive where experienced skydivers go to make their jumps? 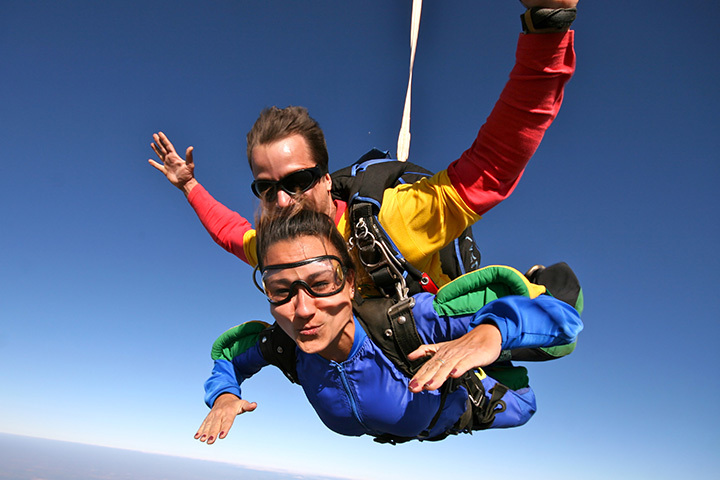 If you are near Las Vegas and want to learn how to skydive, you will be here sooner or later. We teach more people how to skydive and make more skydives than anyone around Las Vegas.